Blending together classic beauty and elegance with a contemporary design, the June Collection makes an eye-catching look that you're sure to love. 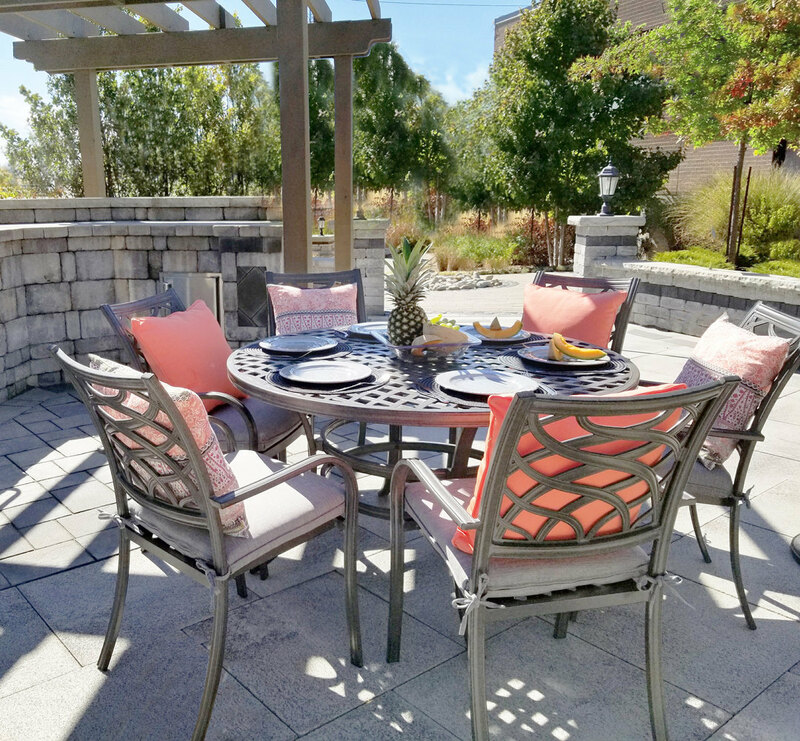 Crafted from durable, rust-resistant extruded and cast aluminum, this collection offer matching dining, bistro and deep seating conversation furniture. Available in both black tippet and shade grey, this collection can coordinate with any outdoor space. Adding to the comfort and beauty, the deep seating furniture comes complete with olefin cushions. Both the cushions and the frame are easy to clean, all you need is mild soap and water. Sit and relax in these beautiful collection while you dine with your family or entertain guests.